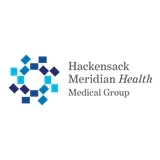 HMH Medical Group Primary Care, Holmdel (Holmdel) - Book Appointment Online! Jersey Shore Medical Associates is comprised of internal medicine and family practice physicians, two nurse practitioners, and an experienced team dedicated to providing you exceptional health care experience. Founded more than 50 years ago, we are committed quality care in a welcoming environment. We also offer several diagnostic services (echocardiograms and ultrasound), blood draws for patients at our office location, and we try to accommodate same day sick visit requests. Great. I like seeing her over the other Doctors in the office because she actually listens to you and pays attention to what the problem is. Timolyne Skinner, NP was great! Very thorough and made me feel very comfortable. The office bright and clean--and the office staff was super friendly. I would definitely recommend NP Timolyne Skinner and this practice.